At a glittery gala awards ceremony in the beautiful Italian town of Positano on the Amalfi Coast, the legendary Ana Laguna and Mats Ek were awarded the Lifetime Achievement Award as part of the 42nd Positano Leonide Massine dance prize. Spanish dancer Ana Laguna and Swedish choreographer Mats Ek share an iconic and powerful partnership not only in life, as husband and wife, but also as a creative artistic force. This partnership, their lifetime dialogue and collaboration, changed the landscape of ballet in the late twentieth century. Ana and Mats have worked separately on creative projects and established themselves independently before coming together. And it is this history and their established process for working together that’s so important to their creative work and their relationship. One of Mats Ek’s pivotal works is Giselle which he famously created on Ana as his muse. It is easy to imagine that a choreographer discovers their muse, feels inspired and simply creates ballets, roles or pieces for that dancer – that the dancer is inspiration only and removed from the process. But it is the coming together in the exploration of the emotions, the history and the interpretation of a role or ballet that breathes life into a new creation. A journey together, dancer and choreographer, Ana shares her experience of working with Mats on Giselle, “The part was created for me, but it was created together with me. 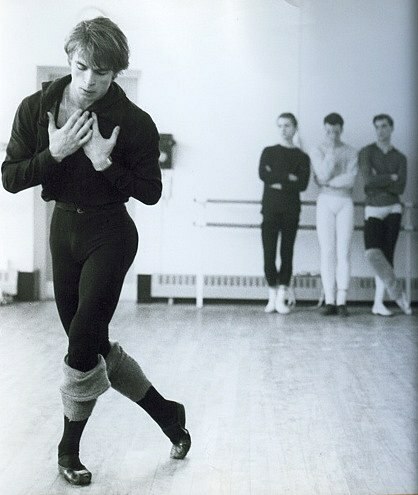 I was there at that moment and if it had been somebody else, he would have created another kind of Giselle. Ana has been celebrated for her sensitivity to her roles, her interpretation and her technique and musicality. Ana has always thoroughly prepared and researched the roles she is gifted to dance, “I think we have to do the research. If you play Juliet in a ballet and you dance Juliet and you’ve never read anything about Juliet in Shakespeare, how can you present Juliet as she is? How can you put yourself in the situation as Juliet if you don’t know who Juliet is? So, of course, you need to research. Ana continues discussing her role as Carmen, “It is not enough to only take Carmen from the opera. With all the research you have to go down into the soul [of the characters]. To find who these people are and only in that way you can go into that person’s situation. I believe I have to go into that person’s situation rather than that person coming into me. When Ana speaks about preparing for a role, she does so with passion, with a sense humbleness and respect for the history and responsibility she has to the role, “It is without any pretension to go into the depth of our feelings, our problems or our happiness, and that’s what I would say is more important rather than pretending to be someone. Ana’s experiences include theatre and TV appearances and I asked Ana to explain the difference between performing on stage with an audience and performing for TV, “usually what we perform on TV has been performed on stage already. So you have a base, a relation to the piece and the situation of the person you play or the person you dance – but it is a little different if it is made directly for television at that moment. The dance world is fortunate that Ana continues to give, to share her experience and to pass on and to create new works, “in a different way, of course, than the young people can and that’s what is good because it gives that diversity of a human being, what we all have in different places of our life. “Sometimes I work with young people. I say, ‘Oh, wow, you can do anything’, it’s nice to try to take them where maybe didn’t go yourself or you see they can go even further. I would not say physically only, but also emotionally, combining their feelings with their technique. And what advice does the legendary Ana Laguna have for today’s aspiring dancers, “if you feel it, you should dance. If they really believe that’s the way they want to express themselves, go ahead. Sometimes I think people often see dancers for how hard they work and how difficult it is and how much you have to sacrifice, but very seldom do they talk about the satisfaction that dance gives you. And there’s so much satisfaction they can give too. I think one should also think about the possibilities. And psychologically it’s a great thing to dance. Mats Ek and Ana Laguna continue their legacy, challenging and inspiring today’s audience with their upcoming piece at Sadler’s Wells, KnowBody; A lifetime of experiences (12-15 September) which presents a mixed programme of work that will enthral audiences. I’m left in deep thought from my discussion with Ana and no doubt the audience will be moved by their upcoming work at Sadler’s Wells. I will cherish my time speaking with Ana Laguna, I feel I have been privileged to gain a small glimpse into a deeply thoughtful, intelligent and inspiring mind of a legendary dancer. For more information about Ana Laguna and Mats Ek’s production, click here: Sadler’s Wells. Ana is Spanish and lives in Sweden and the interview was conducted in English, so I hope that I have done justice to her inspiring words and conveyed their meaning appropriately. 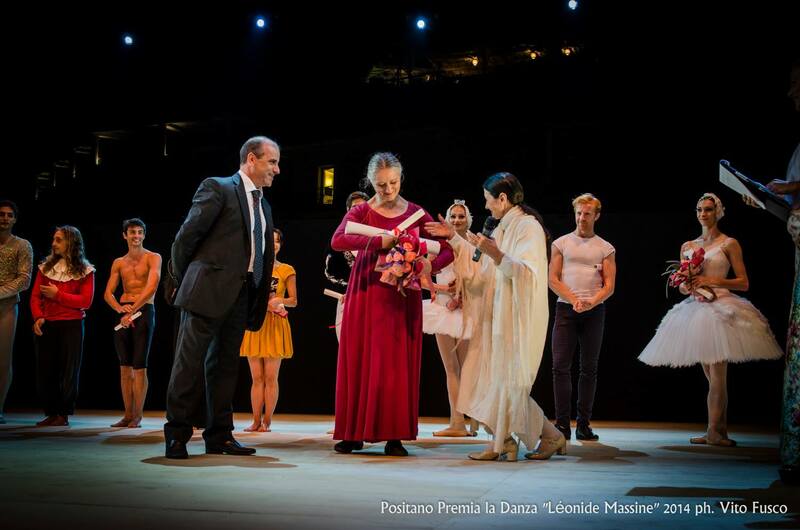 For more information about the 42nd Positano Leonide Massine dance prize, click here.